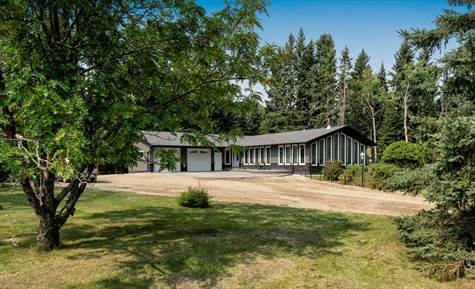 Gorgeous home on 14.92 acres just minutes from Riding Mountain National Park. This 1738sqft home features 3+1 bedrooms, an open style concept with beautiful natural lighting, a large kitchen with a Corian counter and water filtration system, updated bath, and a spacious addition with vaulted ceiling. The lower level boasts a large rec area, ample sized bedroom, 3 pc bath with sauna, and a large laundry room. With new windows, a new roof, new siding, and a newer boiler system, this home has it all!